The Queen’s Park Swizzle involves swizzling, not too surprisingly. A real swizzle stick is a curved stick with little protrusions along its trunk, and they’re very hard to come by. Fortunately a tall bar spoon works about as well. And you don’t stir with it: you stick it down in a drink, get the drink between your palms, and then you twist the drink back and forth between your palms. The swizzle stick does its work from within while you do that. Fill up a highball glass with crushed ice. 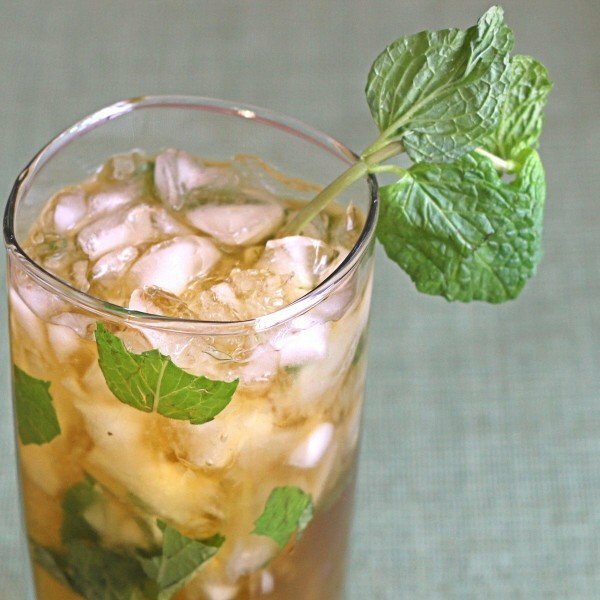 Add the mint, simple syrup, bitters and rum. Squeeze the half lime into the glass. Swizzle the mixture until the glass gets frosty. 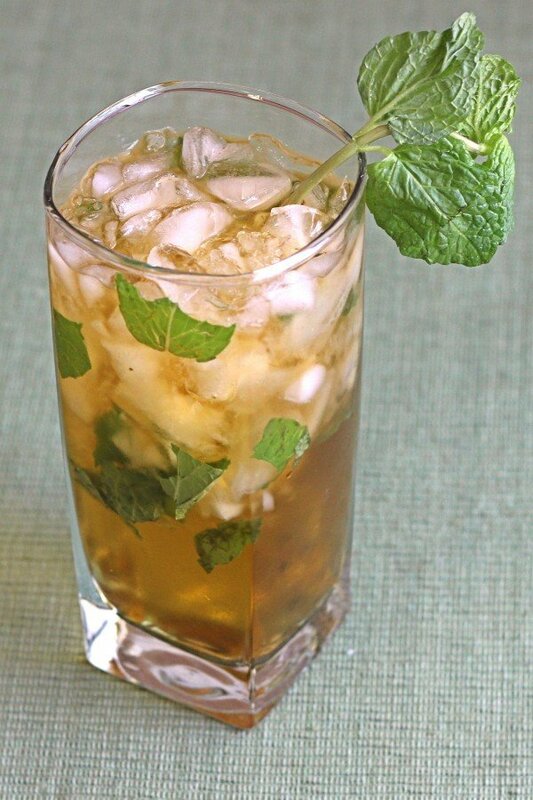 Garnish with the sprig of mint and a straw.